For many people, online ads are nothing more than a nuisance, but this is usually because the ads being shown are just not relevant or useful to that viewer. Ads should look like an organic part of the website that they are being displayed on, and that is exactly what you get when they are targeted towards the people who regularly visit those pages. There are going to be fewer complaints about advertising when ads are relevant, interesting and not intrusive. It stands to reason that when people see an ad that they believe to be useful to them, they are probably more compelled to click on it. Using ads that are of interest to the user or relevant to the site content will absolutely increase the number of click-throughs, which is a scenario where everyone wins. The user sees ads they want, the publisher gets more ad revenues, and the advertiser sees an increase in sales. Do you really want to spend a small fortune to have your ad blasted across the World Wide Web when you are simply trying to corner the local market? The answer to that is obvious, yet many advertisers find themselves in that exact position with the default ad settings. 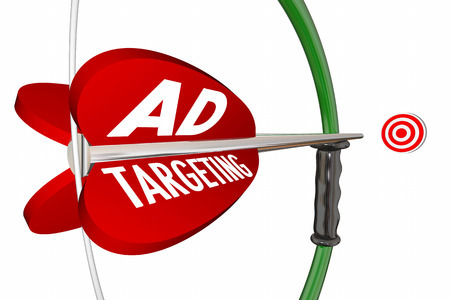 With targeted ads, advertisers know that the money they are laying out is being spent wisely, as the ads are being placed in front of the suitable group of viewers. Let’s face it, advertisers want to see a big response to the ads that they place online, and they are willing to pay handsomely for that very thing. If you have a blog or a website that has a very specific and desirable audience that has proven to be responsive to targeted ads in the past, then you will absolutely be able to charge a higher rate for those ad placements. When you have a wide and varied audience, you have the ability to segment them into different groups that can be made available for advertising. This way, you open up new opportunities for advertisers to reach not just everyone on your site but a specific sub-group. For example, if you have visitors from Asia, you can sell that traffic to Asia-focus advertisers at a higher price than selling a run-of-site ad.